A URL has several functions. It enables you to visit your website of choice by typing its name instead of the IP address that hides behind the scenes. These best practices will help you create the best ones. How should you control the URL with your CMS? Let’s see what practices are clever. A uniform resource locator (URL), or web address if you will, has several functions. It enables you to visit your website of choice by typing its name, like “Enonic.com”, instead of the IP address that hides behind the scenes. A URL may also give your visitor some idea of where he is on your website, for instance if he’s reading an article about money saving or money lending. Any modern CMS with respect for itself (and the users) allows you to modify URLs at will, for any page on your website. This is useful when it comes to best practice tips related to SEO, or search engine optimisation. As far as it is possible, only keep keywords in the URL. Remove filler words like “and”, “to”, “in”, “the”, etc. Instead of e.g. “example-bank.com/blog/how-to-invest-your-money-in-the-financial-sector,” replace it with “example-bank.com/blog/how-invest-your-money-financial-sector.” This allows search engines to focus on the essentials of the page. A second best practice tip when dealing with URLs is to be wary of broken URLs when changes are made to the domain name. When inserting hyperlinks in your texts, you should name the URLs with “/subpage” instead of “example-bank.com/subpage”. 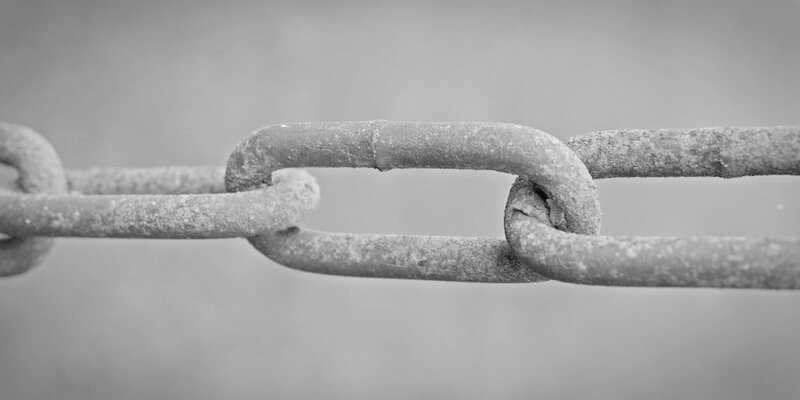 If you change the domain name, top-level domain, or something else, this will ensure that your internal linking will stay intact even after the change, as the content before the slash is more or less irrelevant. An alternate way to bypass this issue completely is to have a CMS where the links to your content are managed by using IDs. A given web page has the same unique ID in the system no matter what its title or URL are, and the CMS then magically handles the URL in the back-end. The purpose is to make URLs for important pages shorter and easier to remember, while keeping the original site structure in one piece. The vanity URL redirects to the original URL, but often you may choose to keep or discard the new and cosier URL in the address bar. A last advice in regard to URL best practice is the use of URL shortening. If you are unhappy about how your CMS presents the URL of a given article, for instance something as terrible and unmemorable as “example.com/topic/cluster/page/article/w921320297847947hf88838”, or if your vanity URL tool doesn’t make your URLs short enough, a URL shortening tool might be what you’re looking for. URL shortening is basically a principle where a short URL is redirected to a longer URL. Famous examples of services offering URL shortening include Bit.ly and Ow.ly, and these tools provide you with for instance “bit.ly/2IvQI9o” (or a custom one in the paid version) instead of a lengthy nightmare of a web address. Some tools also enable you to use your own domain (which are vanity URLs), and yet others allow you to use a specific domain for this purpose, for instance The Economist used “econ.st” as their shortening URL, with addresses like “econ.st/2K1COkF” shared on Twitter. PS: If you’re wondering what URL hides behind a shortened URL, you can use a tool like CheckShortURL.com to unwrap it. The world of URLs is not too complicated, but with these practical tips it should be even less confusing and more rewarding for you and your organisation. Use URLs to leverage your content and give your readers a clearer understanding on what the given page is about.